“We would have quit a long time ago if this was a normal company project,” he said and looked at me with pride. He was one of a group of intrapreneurs we supported through an intrapreneurs bootcamp for one of our clients. His team had picked quite a challenge to work on, a challenge that could potentially impact the lives of millions. It was the team’s emotional connection to that purpose behind the project that kept them going not just during the bootcamp but for months after — in spite of their company’s immune system: processes and structures that make innovation painful, and sometimes seemingly impossible. This is why in our work we focus on purpose first — especially when it comes to Intrapreneurship. Intrapreneurship is continuing to increase in popularity, and many of the world’s largest companies have already at least dipped their toes in those waters. But there are significant differences in how these programs turn out, and whether they actually achieve results. To be fair, out of thousands of startups only a few succeed, so to run an intrapreneurship program and expect to have all the teams come up with new unicorn business models is somewhat ludicrous. This is one of the reasons, we focus on the cultural aspect of intrapreneurship. Intrapreneurship is about a mindset shift, and the organic organizational transformation it can create. When people talk about this mindset shift, they often refer to it as gaining an entrepreneurial mindset. While this is appropriate in many ways, there are also significant differences between entrepreneurs and intrapreneurs — most of which point to the significance of purpose for intrapreneurship. While purpose is important for any meaningful activity, it is particularly important for intrapreneurs. On the surface, the most obvious difference between entrepreneurs and intrapreneurs are the risk and reward structures involved. There are plenty of stories of entrepreneurs sleeping on the floors of their offices or putting their savings, and sometimes even livelihoods, on the line in order to create their startups. But entrepreneurs might indeed end up with their own island, like Larry Ellison — or at least a $638mio paycheck like Evan Spiegel. Intrapreneurs, while having a steady paycheck and therefore low risk, at best get a promotion for their efforts… (at least until companies have more equi-hire and cooperative models and have shifted organizational structures to reflect the kinds of organizations that will be more adaptable in the future). Therefore intrapreneurs need a strong intrinsic motivation — INTRA as ‘from within self’. Intrinsic motivation comes from having a future vision of self (meaning) and a vision of the world (impact) with a strong emotional connection — having a purpose. Purpose is one of those big words that a) gets used way too much and b) is so mushy in its definition that it can mean a lot of things, and c) tends to be a bit overwhelming as it is often associated with gigantic tasks like creating world peace or solving world hunger. On a basic level, purpose is simply the “why” behind any endeavor. It can be on an organizational level, on a departmental level, on a team level, a project level, for a meeting, for personal life, or even any tiny task. It is less about purpose being something enormous than it being a clear aim-for and something that is overarching. That overarching part, that it is bigger than the entity in question, that is the key (sic itur ad astra). If you don’t aim for something bigger than yourself, you have no reason to learn and grow. This is true on an individual level as much as it is on an organizational level (and really across all spheres of concern — more on that in a moment). While focusing only on your existing (especially financial) KPIs contracts your vision of the future and your consequent available actions — and will ultimately lead to your demise, purpose expands your realm of possibility and consequently facilitates continuous growth. In that sense, purpose is akin to any pure seemingly impossible to reach value like love or freedom, which — as the German author Ingeborg Bachmann once wrote — remove themselves from our grasp further with each step we take toward them. But that we keep striving toward them is what matters. Purpose also, as such, is neutral. Your purpose could be to destroy mankind. Since the context in which we are operating here is a bit more forwarding, let’s acknowledge that purpose is technically neutral, but focus on the more positive side of it. Similarly, when we will talk about values and impact in a moment. That said, all of the below still applies to purpose on a neutral level. When Google researched high-performing teams in their much quoted project Aristotle, they found that apart from the #1 factor of Psychological Safety (and the role clarity and dependability that create it), a sense of meaning and impact were two primary factors. Meaning — Meaning comes from German “meinen”, which translates as “to make mine”. It is about a deep personal connection. It is about reflection, awareness and choosing to take responsibility (as in proactive response-ability rather than reactive blame) for something that corresponds with a set of perceived values and validates an image and aspired identity of self. It is something that pervades body, emotions, mind, relationships and spirit. In simple terms: “it’s personal”. Impact — A clear understanding of how our actions create results in the external world toward a (desired) future state. While impact as such is neutral, it has in recent years become more and more associated with positive impact (such as in impact investing). In the context of purpose, as already suggested above, we will use impact here as the measurable desired change brought about in a specific environment or context. Purpose is about finding a “why” that has a deep personal connection and is about creating desired measurable change in a specific context. As such, purpose provides intrinsic motivation and gives intrapreneurs not just a direction to aim for, but also a strong personal motivation to keep going in spite of the obstacles they will likely face in any established organization. Meaning and impact — purpose — are not just important for the individual, but also for creating collaboratively — INTRA as ‘within existing structures and dynamics’. Entrepreneurs start with nothing, and bring something new into the world. Intrapreneurs start with all kinds of organizational assets: an existing customer base, channel connections, distribution networks, vendors and supplier relationships, and shared corporate services and functions — not to mention a brain trust of colleagues. From there, they have to create something new within existing structures and dynamics. On an archetypal level, the entrepreneurial journey is akin to the hero’s journey, the successful adventure of the young male, who goes through trials and tribulations to bring back something new and valuable to his tribe and achieve manhood — and hopefully ends up not too overworked, and under-rested. Entrepreneurship is about inserting something into the market, a very masculine metaphor — if you allow that to sink in for a moment (gives the importance of customer-focus a whole new meaning, too). While entrepreneurs ultimately have to collaborate and build networks and ecosystems to operate within, intrapreneurship from the get-go is about creating from within and in collaboration with others, it is archetypally more akin to integrating the masculine and the feminine into a collective journey (see my friend Maya’s work on more of that). All experience happens in relationship. Our entire world, our very notion of reality is co-created. Within that, each individual is in relationship — with self, with immediate other, with teams, entire departments and organizations, all the way to planet and universe as such. Conscious of it or not, each individual also has impact on all of these levels. b) where they think they can have influence, i.e. the capacity to create impact — do they feel that they can barely take care of themselves? Do they have the capacity to step above their own immediate needs (or have them met sufficiently) to have empathy, so that they can create value for their immediate other? Do they take on stewardship for their team’s well being and feel that they can shift team dynamics? Are they acting in the interest of organizational purpose and do they feel they can impact the success of their organization? And ultimately do they have the desire and capacity to create positive impact and leave forwarding legacy on this planet? Urgency can come from dread or aspiration. When you look at the world around us, there are many things to dread. From climate change and geopolitical instability causing a large amount of the global population to be displaced over the next decades, to technological evolution of next technologies and the need to have clear pathways in place to mitigate their impact on society. There are plenty of issues, and things could easily go very wrong, “gradually, and then suddenly”. To address these issues is critical and urgent. Addressing any one of them can easily serve as purpose, and as such bring urgency to a project. Similarly, if you have a strong aspiration toward a future scenario, there is no time to waste. Why would you stick with the status quo any longer than required? Aspiration can come in many forms, from personal aspiration to seeing a different world out there, one where the need for dread has been mostly removed. In both cases, with dread as much as with aspiration, there is a sense of urgency created by addressing them — a purpose. Having a purpose creates urgency and allows the intrapreneur to work on a different timeline, finding ways to shortcut corporate bureaucracy and red tape, and accelerate time to market for their projects (and ultimately their organization as they surface new ways of doing things, and therefore encourage the creation of corresponding new processes). The sensed urgency of the intrapreneur also serves as an emotional accelerant in enrolling others into their project. Purpose allows enrollment, getting someone on board. This starts with the intrapreneur herself as pointed out above. In order to find intrinsic motivation, to actually get going, and even more so have the persistence to deal with the many opportunities for giving up, having a clear purpose that you are enrolled in is crucial (and the more you can sense it in your body, feel it in your emotions and hold it in your thoughts, the better). But being motivated yourself is obviously not enough. From the first follower to teammates and superiors and potential sponsors in the organization, you will need to bring a lot of other individuals on board. Being able to clearly articulate your purpose and express it in an enrolling integrative narrative vision, which allows the other to see their aspirational self in it, allows you to make them part of your team. And as a team, your shared purpose is what drives your intrapreneurial journey. Your shared purpose is what you can connect to on days when your team is hitting resistance — from inside or outside. On an organizational level, providing opportunities and pathways to live purpose-driven intrapreneurship makes you an attractive employer — something crucial in a world with a war over talent. As an intrapreneur inside the organization, connecting your project’s purpose to the organizational purpose is what creates strategic alignment, and therefore can allow you to enroll and bring others in the organization on board and rowing in the same direction with urgency. Alignment is an “adjustment to a line.” It is about a common direction, a vector toward a shared vision of the future, which in itself might not be clearly defined yet. In our training sessions, we talk about the distinction between agreement and alignment: while agreements have specific conditions of satisfaction and terms of fulfillment, alignment is about a general shared aim-for that allows calibration of your activities. Alignment around purpose is about making every single one of your activities matter. Think of the many activities an individual, a team, a department or an organization engages in (let alone beyond that in our economy). How many of them actually serve a clear purpose? Only four of the eleven players on the field knowing which goal was theirs. Only two of the eleven would care. Only two of the eleven would know what position they played and know exactly what they were supposed to do. And all but two players would, in some way, be competing against their own team rather than the opponent. Whether our personal or organizational activities, many of them might actually be counter-productive to our purpose. On the other end of the spectrum, we know what it feels like when we spend a day fully immersed in activity that is meaningful to us. When everything we did made sense and we can see the impact it has. When it served our purpose. This gets amplified when you begin to go across the spheres of concern: an aligned team with shared purpose, clear boundaries and roles will do wonders (as in Google‘s ’Project Artistotle’ mentioned above). And an organization can save itself many counterproductive projects when you take the time to filter for purpose instead of making HIPPO decisions. In order to utilize conflict creatively, there has to be an overarching purpose, something bigger than either side, something that unites and creates aligned forward movement. Having a common purpose allows teams to overcome differences in how they address that purpose. Conflict can be scary. Especially in environments with low levels of psychological safety. In that case, conflict often becomes boundary crossing aggression, and transgression against self. But conflict can also be seen as a natural engine of evolution as in Hegel’s dialectics. In that case thesis and antithesis strive toward synthesis, which in turn invites further evolution. This requires momentum. Something that pulls forward. Otherwise, it will be easy to get stuck in conflict, when each side further digs into their position, neither feeling heard by the other, neither feeling like their needs are being addressed and therefore unwilling to move forward or entertain new ideas. Sounds familiar? Unfortunately, conflict in many organizations falls into these patterns — in part because of a lack of clear shared purpose. Having a shared purpose allows you to resolve conflict creatively. Appealing to it in situations of adversarial standstill can remind participants that they are meant to be aligned and rowing in the same direction. Together with capacities like empathy and compassion and other tools for appreciative inquiry and non-violent communication, and with an understanding that none of us knows “the truth”, purpose allows transmuting negative energy, using it to pull in new solutions, and shifting back into aligned action. Another benefit of shared purpose is that it can create aligned action at a distance and across hierarchies and silos. Having a clear purpose allows for distributed decision making on all levels of the organization. Best expressed in a simple mantra as described by Guy Kawasaki, a shared purpose serves as a guiding principle, which any employee can test their actions against to see if they are aligned with the overall interests of the organization. As intrapreneurial teams are often (and hopefully) distributed across silos and organizational structures, they need something that keeps them together and aligned as described above, and also something that allows each member to make decisions autonomously (autonomy, complexity, and a connection between effort and reward are the three qualities for work to be satisfying according to Malcolm Gladwell in “Outliers”). Having a clear shared purpose allows for the freedom to act knowing that you have the interests of your team and organization at heart. Velocity, when you might not have time to get everyone’s opinion, but need to act fast in order not to miss an important opportunity. Complexity, when there is too much dynamic information and you lost the forest for the trees. Ambiguity, when options seem deceivingly close and you need to decide which one to put your faith in. Purpose-driven Intrapreneurs already realize that we live in times of VUCA. They are — together with edge artists, entrepreneurs, activists and educators — the prototypes of our future. They forge new pathways, and by their very being and doing, become examples for the Future of Work. In a previous article I laid out three likely scenarios for the Future of Work 2050 that resulted from a survey of 450 futurists in 63 countries. Out of the three scenarios, really only one described a desirable human future: That of a self-actualizing economy. Self-actualization, while initially motivated by individual self-expression, will eventually lead to self-transcendence: when you ask yourself how your self-expression can be put in service to something larger than yourself (as Maslow added to his model of needs in his later years). This signifies the upleveling from individual meaning to the integration of transformational impact — and with that, the activation of purpose. Organizations get to be key drivers in the transformation toward a self-actualizing economy. In a shifting economic context, organizations of the future will require purpose beyond profit. Both to continue to enroll customers, as well as to attract the most capable employees and win the war on talent — as I also pointed out in a previous piece. Depending on how close your organization already is to being purpose-driven, your path might take some time. The good news is that you can begin today by creating pockets of new ways of working inside your organization. Purpose-driven Intrapreneurship programs can serve to create new employee archetypes, and, as you tell their stories and spread their ways of working, will eventually support you in shifting your entire culture to become more intrapreneurial and purpose-driven. For now, as you explore intrapreneurship and might bring a program to your organization, make sure to root your efforts in purpose. They are likely to be more fruitful. So… how can you get started today? 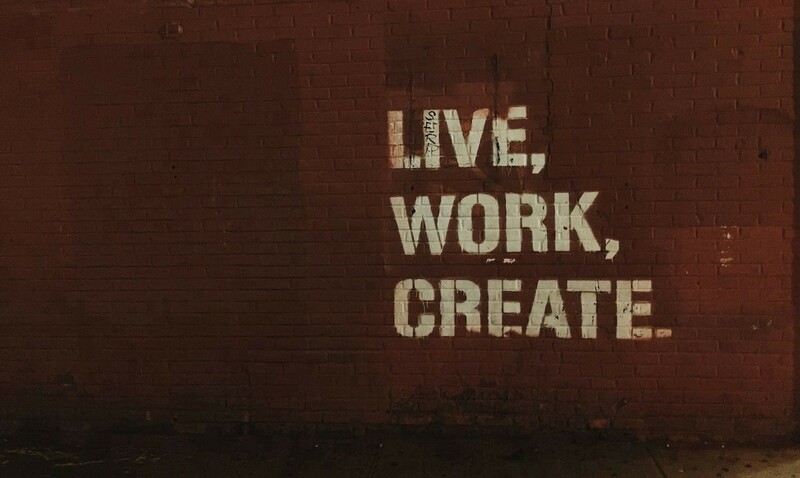 The future belongs to those who create it. That is why I serve as a culture catalyst and planetary strategist for visionary leaders. 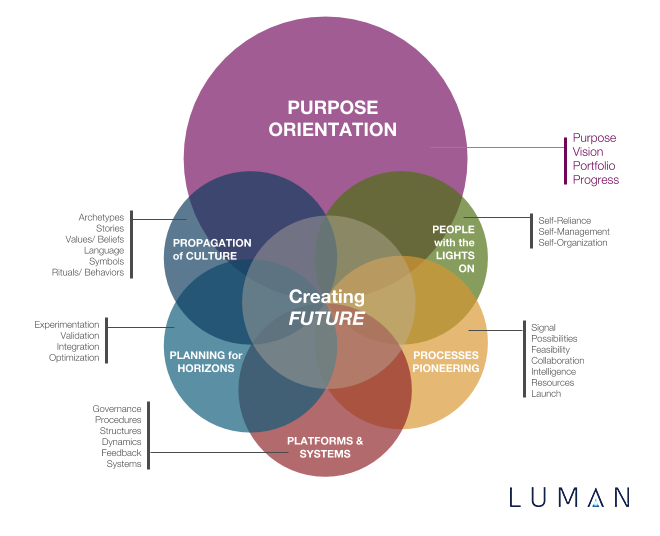 Through my work with LUMAN and other projects, I provide frameworks and operating metaphors to support leaders around the world in their individual evolution and in growing innovation capacity in their teams and organizations — all with the aim of a planetary society. I have worked with startups, NGOs and with global Fortune 500 organizations in a variety of industries around the world. More at http://philiphorvath.com.